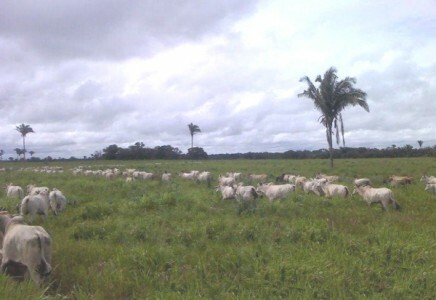 Exceptional livestock farm for sale in Maranhao, Brazil with complete infrastructure. The total area is 10,300 hectares. 6,800 hectares of pastures in several different stages of maturity. 3,500 hectares of forest reserves with tropical vegetation that is dominated by babassu. Gently undulating topography that allows for mechanization on 100% of area. Freight and rail available to St. Louis inside the property.